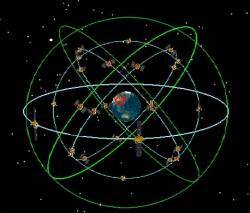 China successfully launched two Compass satellites into space at 4:50 a.m. Beijing Time on Monday, April 30 (20:50 UTC, April 29). Designated Compass M3 and M4, these are the 12th and 13th of its second-generation Beidou-2 spacecraft to reach orbit and the second and third middle-Earth-orbiting (MEO) spacecraft launched by China’s GNSS program. 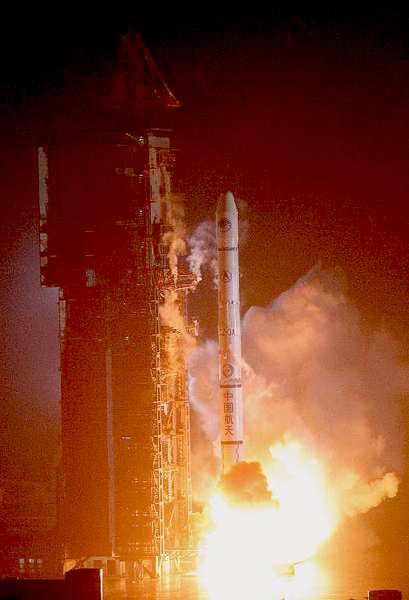 This is the first time China that has launched two navigation satellites with one rocket since the BeiDou-2 program’s first launch in April 2007. 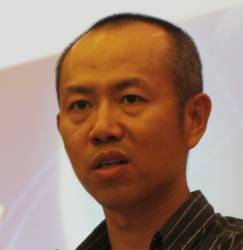 According to China’s state news agency, Xinhua, China will launch three more satellites for the Beidou network this year. The current plans call for a fully operational constellation of 35 satellites to be in place by 2020, including 5 geostationary orbit satellites, 27 MEOs, and 3 in inclined geostationary orbit (IGSO). A regional service is planned to begin this year over China and the surrounding region. Compass currently has three MEOs, four GEOs, and 5 IGSOs in orbit, although not all of them are currently transmitting healthy signals. One of the GEOs launch in 2009 has not been stabilized and is drifting in its orbit. Launch of the Compass–M3 and –M4 satellites took place from the LC2 complex of the Xichang Satellite Launch Center in China’s Sichuan Province. 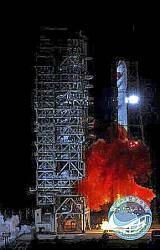 A CZ-3B Chang Zheng-3B (Long March) launch vehicle was used to lift the satellites into orbit.